Having a dog, cat or even a guinea pig nearby increases the chances that children with autism will engage socially with people around them, a new study suggests. Kids with autism were more likely to talk, look at other people’s faces and make physical contact when in the presence of animals as compared to toys, researchers reported Wednesday in the journal PLOS ONE. Moreover, the children laughed and smiled more and they were less likely to frown, cry or whine. 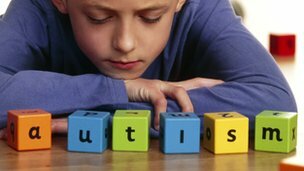 For the study, 99 kids ages 5 to 13 were divided into groups of three, each including one child with autism and two typically developing kids. Researchers observed the groups during several 10-minute play sessions where the children were either given toys or two guinea pigs to engage with. In addition to seeing more socialization from the children with autism in the presence of the animals as compared to the toys, researchers found that the typically developing kids more frequently approached the children with autism when the guinea pigs were around. It’s unclear exactly why kids with autism saw such benefits from the guinea pigs, but researchers suggested that it may be that the presence of the animals made the environment less stressful for them. The benefits seen in kids with autism are consistent with previous studies finding that pets often serve as a “social lubricant.” Research has found that people are more likely to be approached by a stranger in a positive manner when they are walking a dog, for example, than when they are alone.